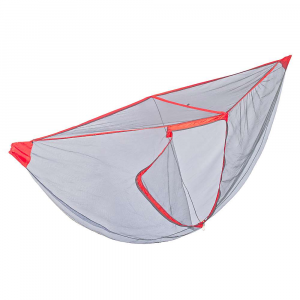 You're going to need a suspension system to hang that hammock, so how about the super lightweight Helios? At 5.7 ounces it's ENO's lightest suspension system yet. 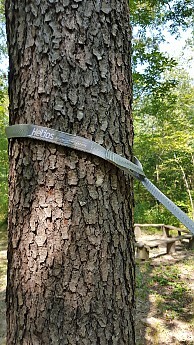 The tree-friendly Helios features polyester blend tree slings to protect trees from bark loss and a unique Dyneema tensioning system that features a "Bury Splice," where two opposing weaves pull against each other to tension the suspension and prevent slippage. The Helios reaches 11.5 feet in length, and ENO promises it will have you setting up and taking down your hammock in seconds. 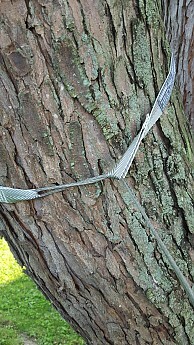 ENO's Helios Suspension System is a new take on the time-tested combination of tree straps and whoopie slings. Designed to be paired with hammocks using carabiners—like ENO, GrandTrunk, and Thermarest—the Helios does what it does quite well. 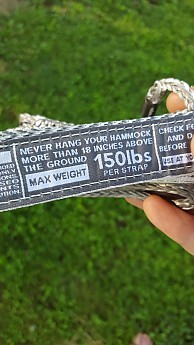 It makes hammock hanging simple, and it does it at under 5 ounces. 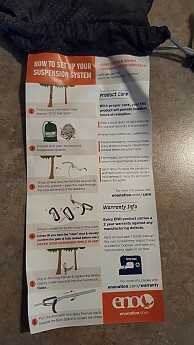 While it would be easy for me to say this suspension system is best for new hammock hangers, I believe even experienced hangers will find it worth taking a look at. 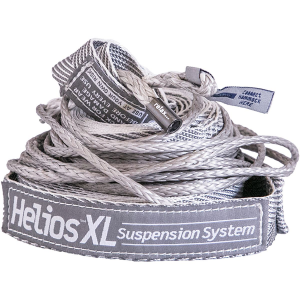 The Helios Suspension System is, in my opinion, ENO's best suspension system to date, and definitely worth taking a look at. Let me be clear, I'm no ENO fanboy, and I've taken ENO to task for a number of sub-standard products ( Ember, Fast Fly, Hot Spot). I state that solely to point out that ENO had a lot of work cut out to impress me. 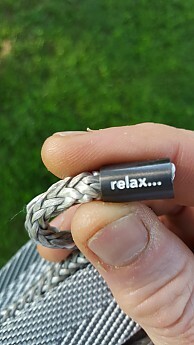 However, the Helios paired with the Sub-7 Hammock did just that. 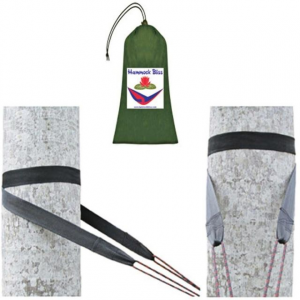 Helios is a variation on the traditional suspension system of Whoopie Slings and Tree Straps. Within the bag holding the straps are printed instructions that I consider to be idiot proof. 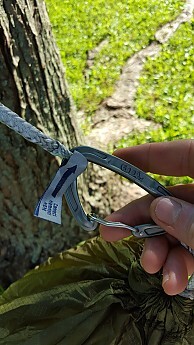 Just in case you still don't get it, Helios tells you exactly where to clip in your hammock. If, after all that, you're still feeling panicky, Helios provides therapeutic counseling at no additional charge. The video below gives a brief overview of Whoopies & Straps, and shows the ease of use of the Helios. Surprisingly, I find the Helios to be a better/easier system than traditional Whoopies & Straps—the system I have been using for years. 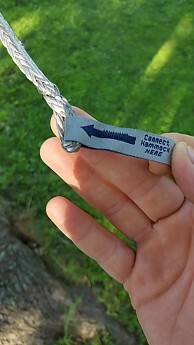 A user does not have to learn the Marlin Spike Hitch (though it is a fairly easy knot to learn), and she/he does not have to worry about the Whoopie Sling sliding off the knot and onto the toggle (or stick). The con to all this is the user is reliant upon carabiners, where most cottage industry hammocks simply girth hitch the whoopie to the hammock. However, the argument can go back and forth—Have the whoopie fixed to the hammock and the straps not attached, or have the whoopie fixed to the straps and the hammock not attached. Really, if you get out on the trail missing any part of this, you're sleeping on the ground anyway. 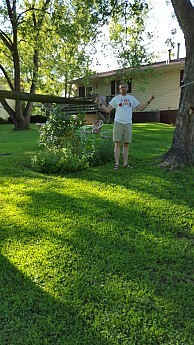 Every online sight I have seen lists the Helios at 5.7oz. 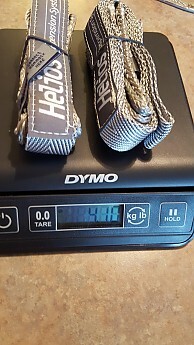 However, on my scale, the pair only weighed 4.1oz (4.35oz with the bag that I ditched early on). I am not sure why the discrepancy. I find most manufacturers understate the actual weight of their product, not overstate it. 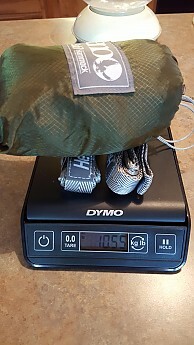 The total combined with the ENO Sub-7 is only 10.55oz. 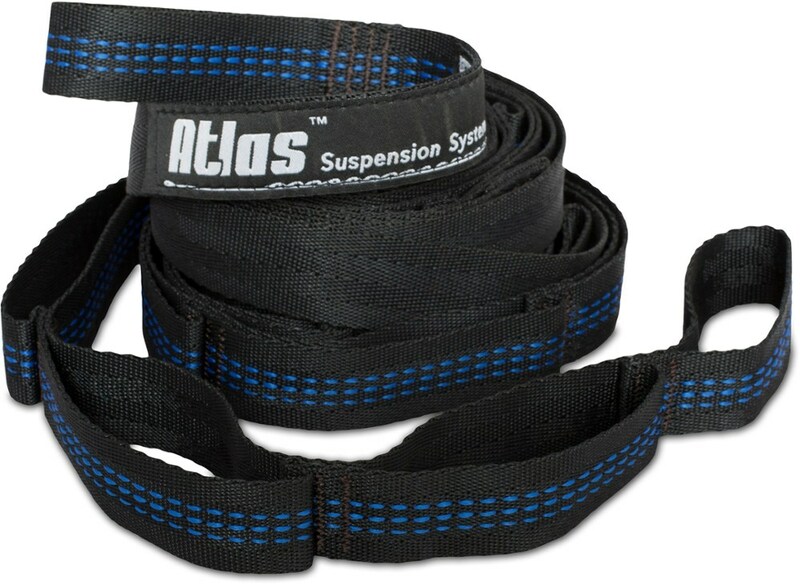 That total weight is actually less than ENO's other suspension system, the Atlas Strap. 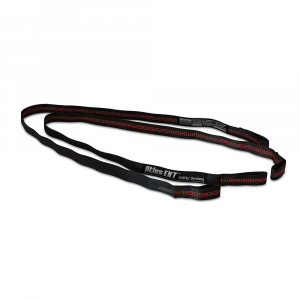 Each strap is rated at a maximum of 150lbs. 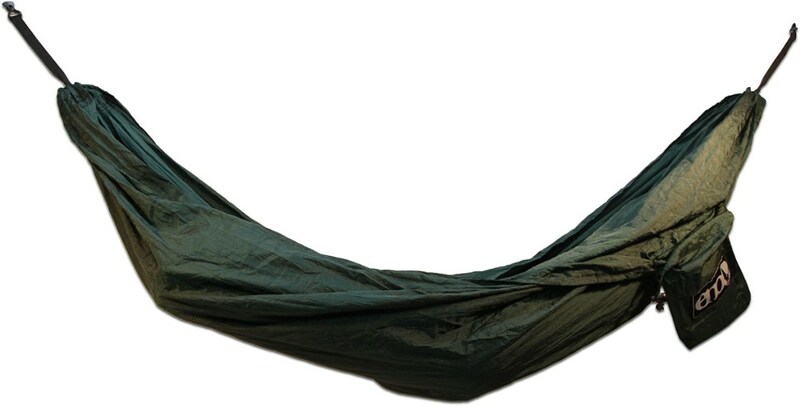 With most single use hammocks rated at 300lbs or less, that makes the Helios system compatible with most hammocks. I would not recommend this for double hammocks hanging two love birds. I went into testing the Helios and Sub-7 not expecting much. It was a test Trailspace asked me to do, and I was happy to do it. I was really surprised by the combo testing, and when I head out on my next week-long trek, this will be the setup I take with me. This final thought will be expanded on in my Sub-7 review.